PayPal Plus is an add-on product for accounts based in Germany, Mexico, and Brazil that provides PayPal payments and direct credit card payments on your website. 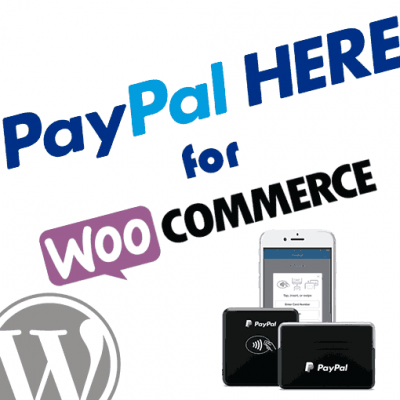 This guide will show you how to create a PayPal app for use with the plugin, and then configure the plugin to enable PayPal Plus on your WooCommerce website. If you need help installing the plugin, take a look at our install guide before moving forward here. It is recommended that you create a PayPal sandbox seller account prior to completing this guide if you do not already have at least one created in your PayPal developer account. 1. Login to your PayPal developer account dashboard. 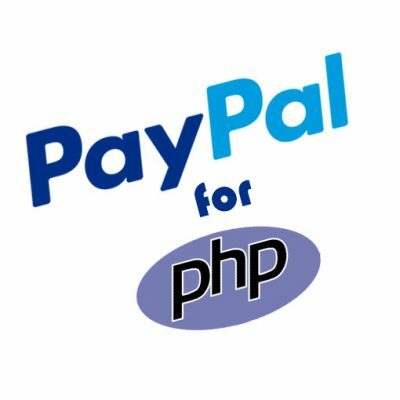 Login to https://developer.paypal.com using your live PayPal account credentials. Then click Dashboard to enter your PayPal developer dashboard. On the left side of the dashboard screen, click My Apps & Credentials. Scroll down to the REST Apps section of the page. Enter a name for the new app, and choose a sandbox account to associate with it. 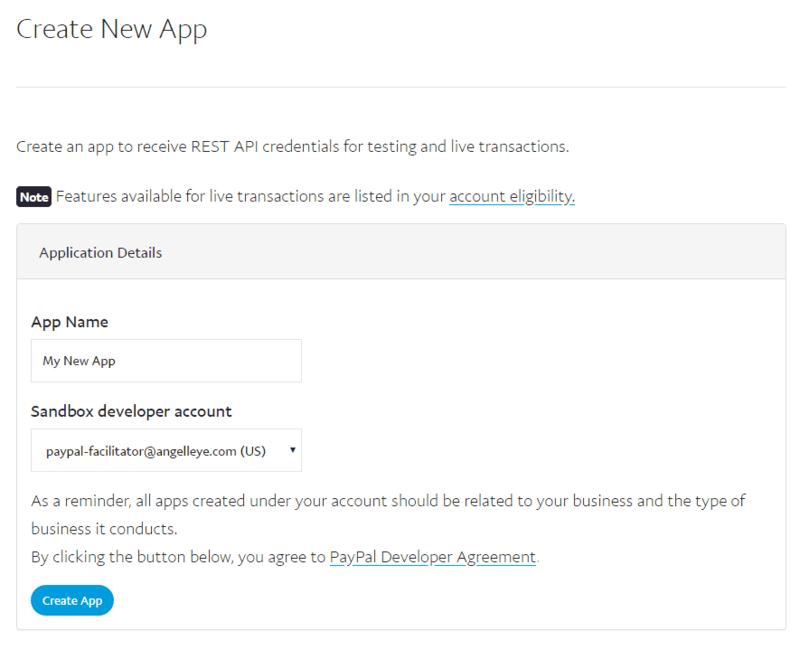 Your live account is already associated with this app by way of logging in to the PayPal developer dashboard. Click the Create App button again to officially create the new app. NOTE: If you have already created a rest app you can click into your app to view / edit details. 4. Configure application settings and save. Select Sandbox or Live depending on which version of your app you would like to update. The sandbox is used for testing purposes. Under the API Credentials section you will see your Client ID. This will be copied / pasted into the plugin settings in WordPress later, so you may want to make record of it now. Click the Show link under Secret to display the Client Secret credentials section. If you do not already have a Secret displayed here, click the Generate New Secret button. Review and adjust the remaining application settings to suit your needs. Click Save to finalize the creation of the app. 6. Click on the Checkout tab, and then click PayPal Plus. 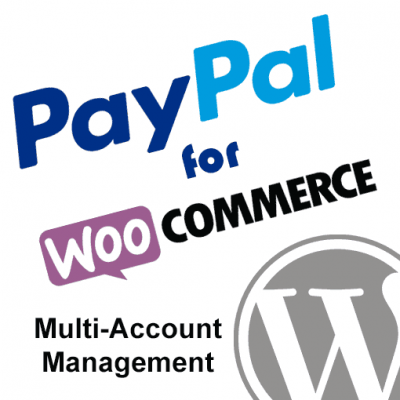 Make the necessary adjustments to the WooCommerce PayPal Plus settings. Check this box to enable the payment gateway. Leave unchecked to disable it. This controls the label the user will see for this payment option during checkout. This controls the description the user will see for this payment option during checkout. Set this to the country that your PayPal Plus account is based in. This is important because the checkout experience for different countries varies slightly. Check this box to enable test mode so that all transactions will hit PayPal’s sandbox server instead of the live server. This should only be used during development as no real transactions will occur when this is enabled. Copy and paste your Client ID and Secret ID from your PayPal developer application created above. NOTE: These fields will change to “sandbox” fields vs. “live” fields depending on whether or not PayPal Sandbox is enabled or not. Make sure you are filling in the values into the correct fields! This allows you to set a value to be used as the prefix on invoice IDs generated by WooCommerce. 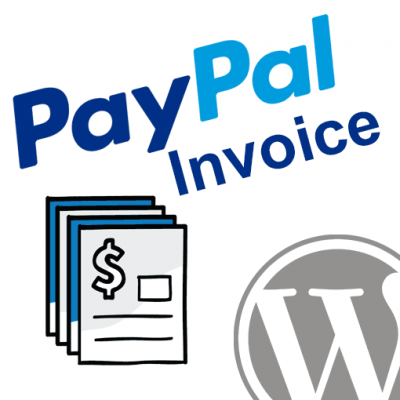 This can help to resolve duplicate invoice issues that may arise if you’re using PayPal on multiple websites where the same invoice IDs can get used. A prefix is required to avoid declined payments when this happens. This is the URL PayPal will send users to if they cancel / close the PayPal Plus checkout experience prior to completing their payment. This controls what users will see for the brand / company name on PayPal review pages. 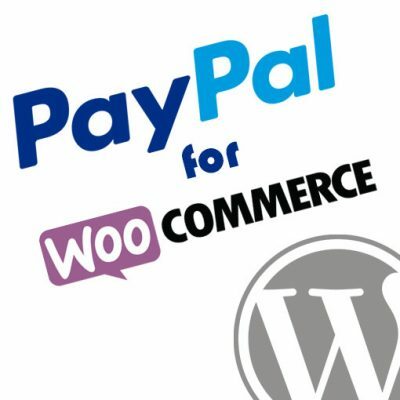 Here you may add the URL of an image you would like to display as the logo on the PayPal Plus Checkout pages. If you have “Force Secure Checkout” enabled in WooCommerce, which means you must have a valid SSL certificate installed on your site, then you will be able to simply upload an image using the WordPress media manager. If you do not have an SSL certificate for your site you may upload your image to any SSL image service and simply copy/paste the URL here. We recommend SSLpic for this service. PayPal Seller Protection can be an important feature to help protect you from fraud. You may use this setting to automatically cancel and refund an order if it is not covered by PayPal Seller Protection. Do not cancel any orders. This is the default setting and will not automatically cancel / refund any order. This will automatically cancel and refund any order that is not covered by PayPal Seller Protection. This will automatically cancel and refund any order that is not covered with unauthorized payment protection. PayPal Plus provides a “Pay Upon Invoice” option which allows a person to complete checkout, and then submit payment later. This note will be displayed to buyers on the order receipt / thank you page as well as in email notifications. If you have Ratenzahlung enabled on your PayPal Plus account you will need to enable it here so that it will be included in the PayPal Plus iFrame during checkout. NOTE: PayPal Ratenzahlung for WooCommerce is available as a separate plugin. 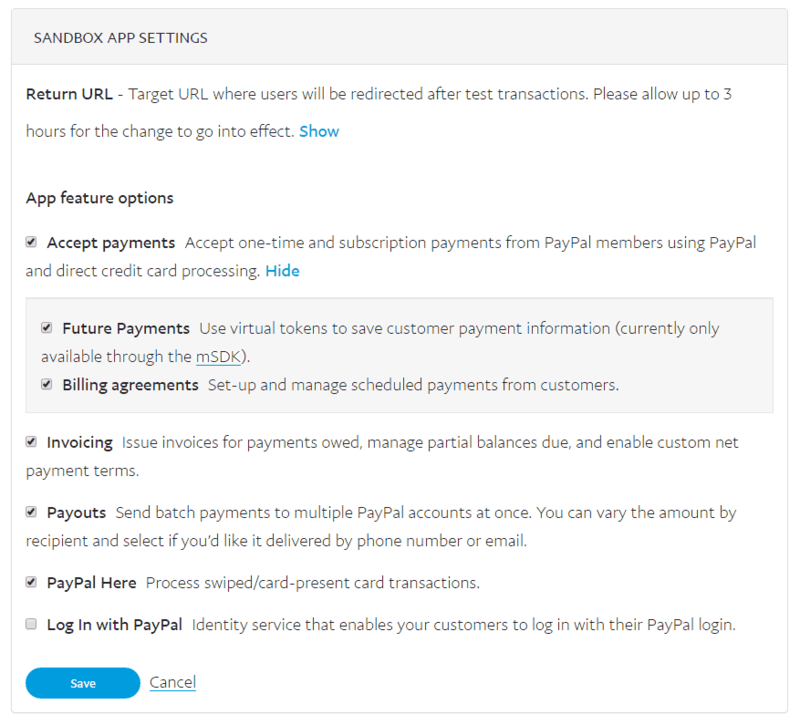 Check this box to enable logging for PayPal Plus Checkout API calls. These logs will be saved under /wp-content/uploads/wc-logs/. If you are struggling to get things working after reviewing this setup guide, please create a support ticket and we can help you directly. Is it possible to have only Paypal Plus integrated in the checkout process? I have the problem that Paypal Plus is a seperate billing method and not my whole billing system. So I have to choose at first “Paypal Plus” and then I can chose my payment method. I would like to have only the Paypal Plus Window with my payment methods. We are about to release an update (1.0.2) that adds the option to use the Plus iFrame in place of the general list of WooCommerce payment gateways instead of just listing it along with the other gateways. 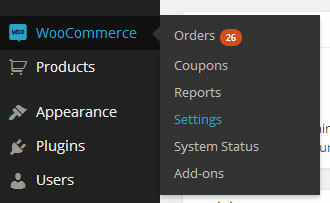 When you do that any other gateways you have enabled in WooCommerce get injected into the iFrame. We should have the update released within a week. 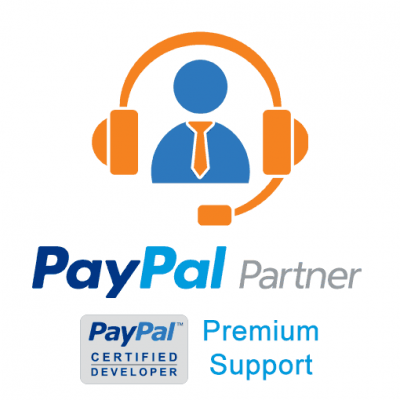 I’m using “Paypal Plus invoice service” in Germany. How can I integrate the PayPal Plus account information for the customer into ouer PDF-invoice? I’m not sure I fully understand what you are trying to do. Can you please elaborate on that for me? Are you building your own custom PDF invoices? Are you using a plugin like WooCommerce PDF Invoices and Packing Slips? Please submit a ticket here and provide these details. Thanks! i have made everthing like in the setup guide. But if i go to the checkout page and i select paypal plus there is a big red warning “Access is not allowed”. What do i wrong? It sounds like you don’t have PayPal Plus fully approved and active on the PayPal account. Can you please verify this with PayPal? I’ve even seen cases where they have to turn it off and back on again in order for it to accept the setting and open it up. Please give that a try and you still have problems you can submit a ticket here and we can help you more directly. When I check “Replace checkout page payment gateways with PayPal Plus iFrame.” the checkout button on the checkout page is greyed out and unclickable. So actually noone can purchase anything. If I leave it unchecked and have the radio button solution (which doesn’t look to nice…), everything is ok. You got any idea why I got this problem? Are you running Woo Germanized? I think you’re running into a conflict we have with that plugin that we are aware of and will be fixing in the next update, which we’ll be releasing ASAP! It is possible to specify the payment fee as percentage like “1%” or can this only be a fixed price? I am not sure what you’re referring to. Can you please elaborate on this? Hi, when I set the “Replace checkout page payment gateways with PayPal Plus iFrame” I still see the option, but when I click it, nothing is loaded at all. Also I would like to fully remove the “payment option” list and only see the paypal plus options. Any help here? It sounds like you may have some caching / CDN service that is conflicting. Can you make sure to clear out any such services after enabling the option to replace the checkout page gateways with the Plus iFrame? That should give you what you’re describing you want.